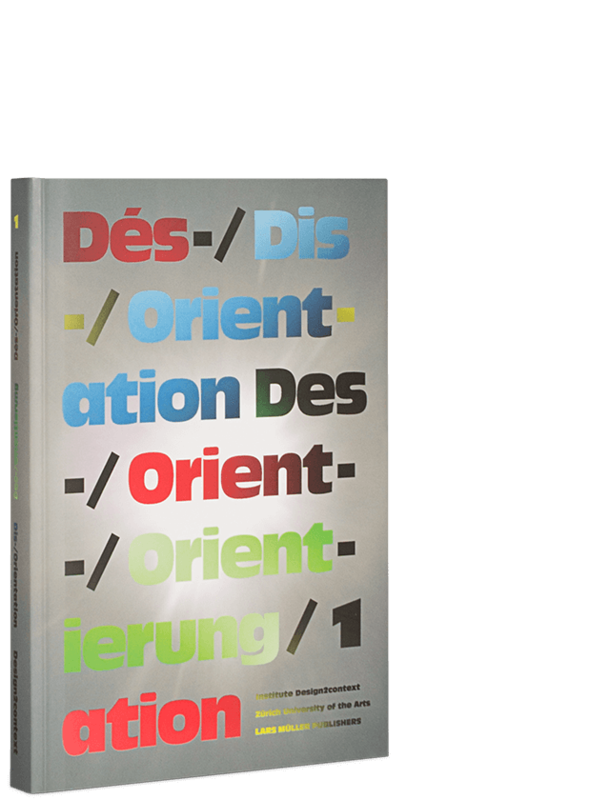 In graphic design, instructions, city planning, and other creative disciplines, complex tasks related to orientation and disorientation are on the rise. “Dis-/Orientation 2” is an academic investigation into phenomena, representations, and stagings of orientation and disorientation. The design research institute Design2context, under the direction of Ruedi Baur, invited academics from various fields to discuss both categories. While the first volume offered a predominantly pictorial treatment of the topic, this one addresses the phenomenon with solidly researched texts. 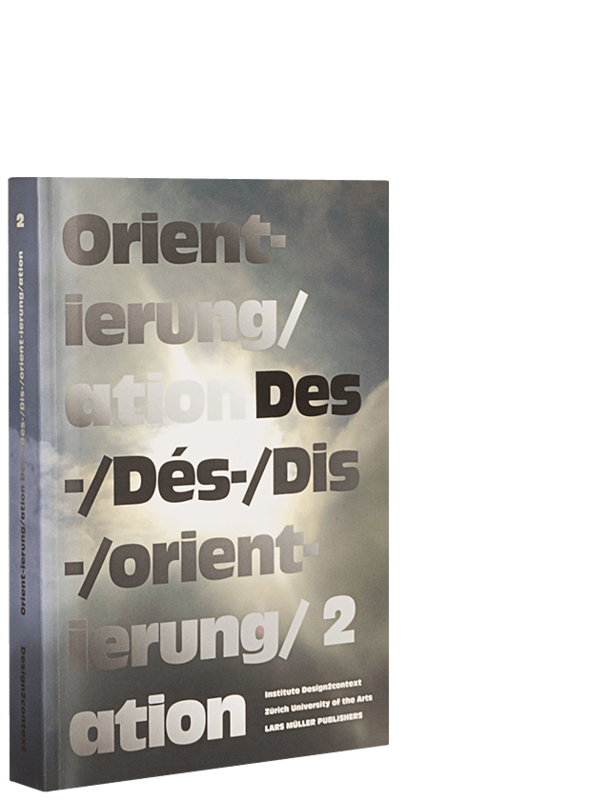 The thematically organized anthology highlights the areas in which the concepts of orientation and disorientation are applied and sets in motion a critical analysis in various fields.